Kanada-Team stellt mit der Trophäe nach dem Gewinn der 2015 IIHF Eishockey-Weltmeisterschaft Finale zwischen Kanada vs Russland, 6:1, in der O2-Arena in Prag, am 17 Mai 2015. 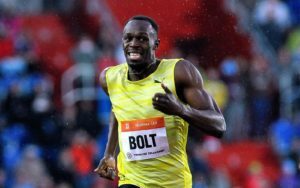 Usain Bolt of Jamaica competes in the 200 Metres Men at the Golden Spike (Zlata Tretra) athletic meeting IAAF in Ostrava, Czech Republic, May 26, 2015. 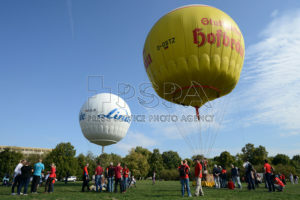 The Germany’s Gas Balloons fly at Letna in Prague on September 12, 2015. Start a gas balloons celebrates the 50s since the foundation Balloon Club Prague in Czech Republic. 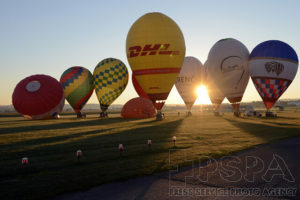 Hot air balloons fly during the 20 th FAI Hot Air Balloon Czech Championship in Modra, near Velehrad, Czech Republic, September 1, 2016. Thirty and three contestants of seven countries participate in the event. The morning start at the airport in Kunovice. 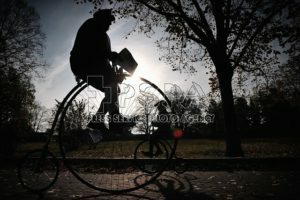 Enthusiasts dressed in historical costumes ride on a high-heel bicycles within their traditional meeting Prague Mile in Prague in the Czech Republic. The Czech high-wheel bicycles club was founded in 1880 and its members meet up at this race yearly.